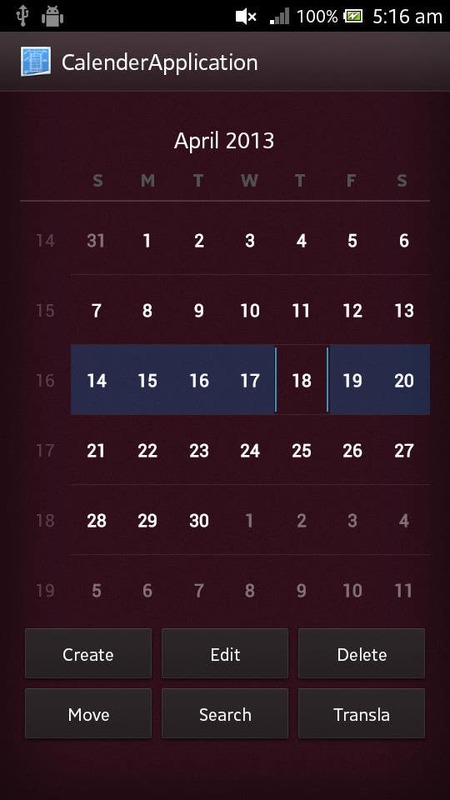 This Android Application was developed for event planning. The user can create, edit, delete or move events. There is also a search facility to search for events. The user can also translate the event description to any language he prefers. This app uses SQLite database and the Apertium translate API. Targeted Android version is Ice Cream Sandwich and above.